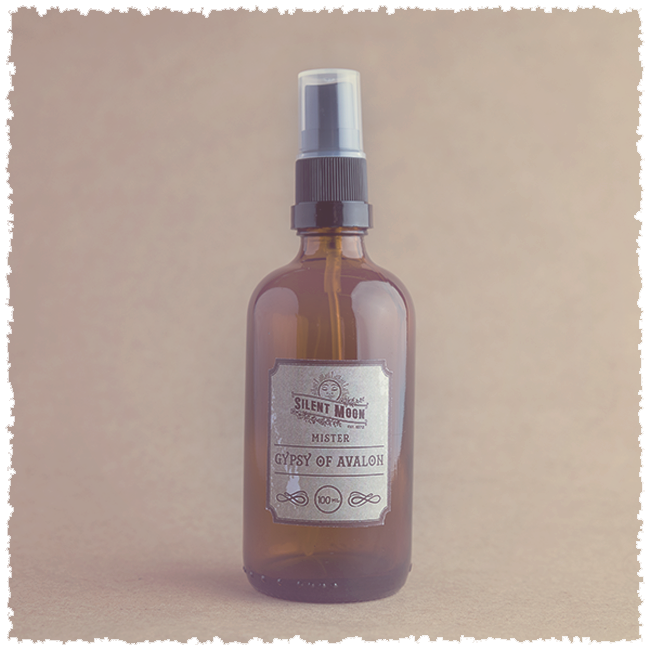 ‘Gypsy of Avalon’ Mister is the ultimate spray of Freedom. She is made with a combination of three flowers and is a sacred spray for the goddess in us all. 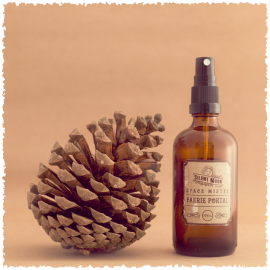 This mister also contains special selected pure essential oils to help enhance any aura or environment. Created with the energy of Aphrodite. She has a strong connection to the Gypsy Of Avalon Mister. Blending the oils of jasmine, ylang ylang, frankincense and cinnamon along side the Gypsy of Avalon flower elixir helps promote freedom. Aphrodite is the goddess of love, desire and beauty and she held a magic that compelled everyone to desire her. Surrounded by wild flowers, hares, birds and bees and a multitude of wild life. I was at peace in the elements while resting for a few days in Avalon. Gypsy of Avalon (Two) differs from her sister (number one) because this time I felt the focus was on deeper internal self and expression. Opposite to last year the storms came before the sun. The sun was so intense that the sense was one of melting, this elixir drops deeper into self. A big internal cuddle and a strong and warm embrace. You are asked to allow the melting of the old to deepen so that the new life can begin to grow. This is not superficial, the wild isn’t even external although it will it will show once you clear the way within. Every muscle every bone and every blood cell of your body will intrinsically feel the intensity of this elixir if you are prepared to listen to her call. Buttercup: Souls light. I release rigidity and remove the sheen that protects you from your truth. The sun is a reflection of your greatness so why do you hide? There are so many aspects to you why not allow all to be seen? Your fragile exterior is an illusion. Elderflower: Star light. I touch those parts of you that maybe difficult to reach or understand. I give you the opportunity to bring the smaller parts of you into the light. Without expectation I offer you the gift of exploration. Why do you care what others think? their judgements can’t touch you. Essential oils of: Cinnamon, Frankincense, Jasmine and Ylang Ylang. 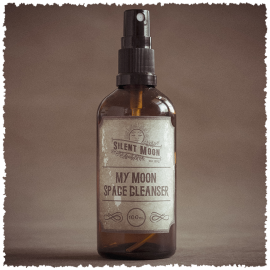 This blend will help to lift the spirits, open the heart and encourage meditation practice. It will support in embodying feminine energy and enhance wellbeing. I have worked with Indra and Silent Moon Imaginarium for approximately 1 1/2 years and have used numerous (including several Bespoke) creations. The Gypsy of Avalon Mister truly resonates with me. I had preordered The Gypsy of Avalon Elixir, and have experienced a much higher sense of Freedom, Authentic Self and Personal Magic which resonates through Lifetimes. 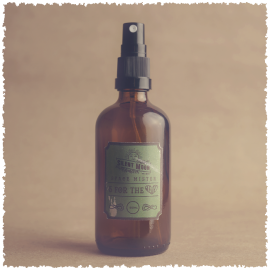 Now using the Mister, I feel cleansed, surrounded and enchanted by Its gorgeous scent and Sacred Energy. My ongoing experience with Indra has been an amazing Journey of Growth, Expansion and Discovery. Beyond 5 Stars!!!! 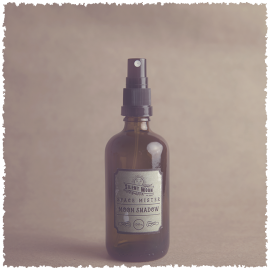 The Gypsy of Avalon Mister is divine and smells like a mystical herb garden carrying me into other spheres. Pure bliss! Additionally, opening the package when it arrived was a divine experience in itself. Indra put so much care and love into wrapping the products, adding lovely details. Thank you!